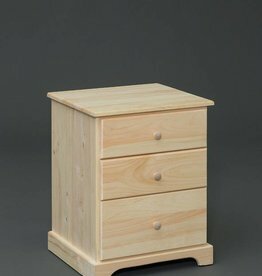 Amish-built 3-drawer all wood nightstand with euro glides for easy access. Natural pine, ready for paint, stain or poly. 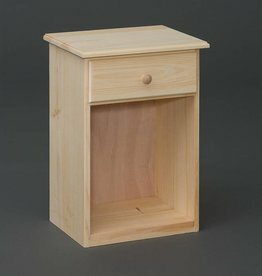 Amish-built solid pine wood nightstand. 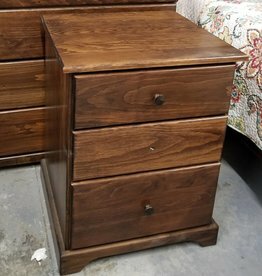 One drawer. Unfinished. Ready for poly, paint for stain. 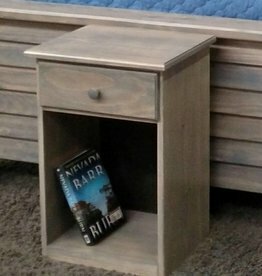 Amish-built solid pine wood nightstand. One drawer. Please specify Minwax stain color during checkout process.